Director CEIF, Mr. Ahmed Ali Siddiqui, visited ISRA headquarters in Malaysia on October 27th, 2015. The visit was targeted at expansion and collaboration of research resources and opportunities between ISRA and CEIF. 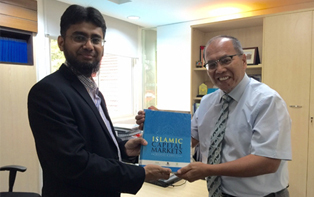 He also met Dr. Abu Bakar Sideq, a leading name in Islamic Finance, and discussed the future of CEIF-ISRA partnership.